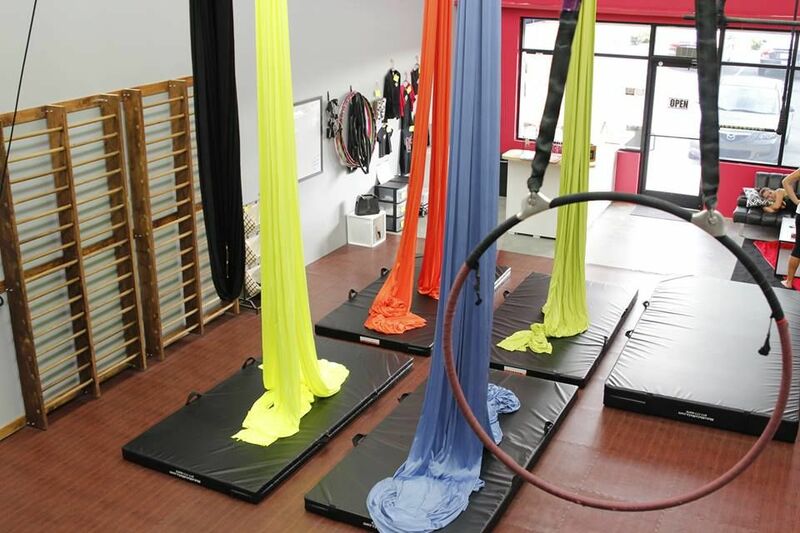 Aerial acrobatics (Circus Aerial) is the art of performing on apparatus such as the trapeze, aerial silk, hammock or lyra. Most people associate this with Cirque Du Soliel, although there is so much more behind that. 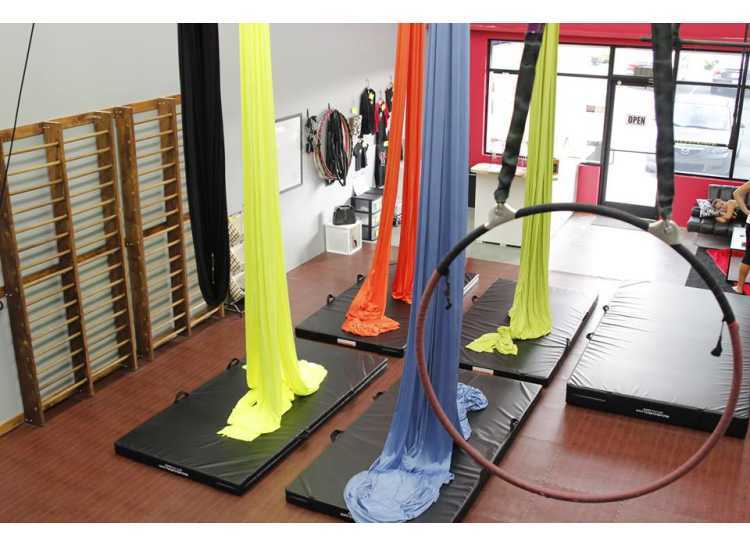 Aerial yoga takes commonly seen yoga poses into the air using an aerial yoga hammock. for thos who want to stay lower to the groud and achieve full body fitness!